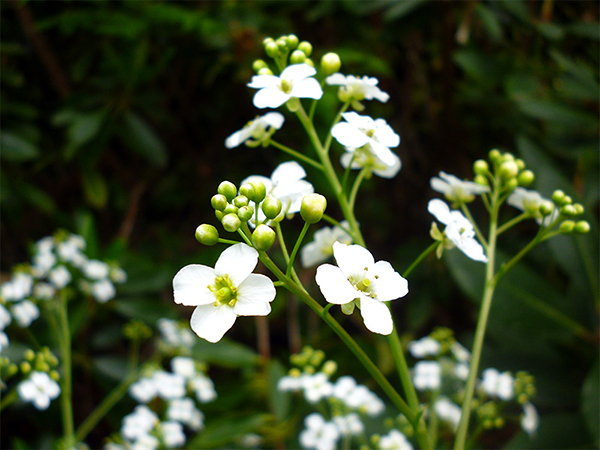 Crambe cordifolia is a gorgeous large perennial with clouds of tiny white flowers in early summer. It makes me think of double herbaceous borders in English gardens, where I've seen some glorious specimens growing. Alas, in my garden herbaceous borders don't really have a place. 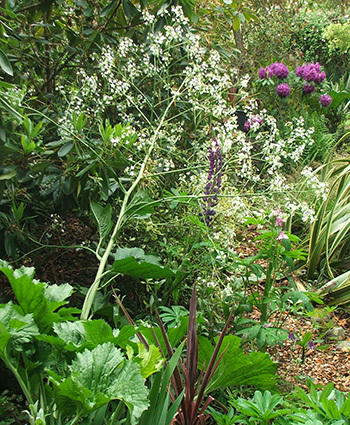 My clump of Crambe grows in a mixed border alongside several sturdy rhododendrons, with red Cordylines and Corokias for company. There isn't quite enough sun for a really good flowery show. 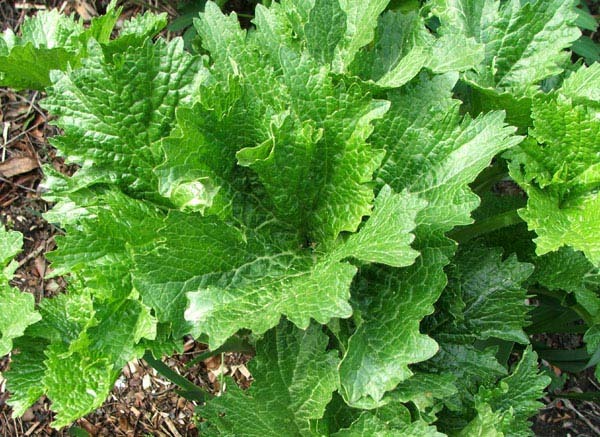 First the glossy patterned green leaves appear, and then the plant puffs up itself with stems covered in white flowers. In my garden wind shelter is essential, and in many years the stems are soon blown sideways. Photographs are few and far between, since this large perennial grows in a slightly forgotten part of my garden. The big rhododendrons tend to take the focus in spring, and by summer I've moved on with my camera to rosier places. 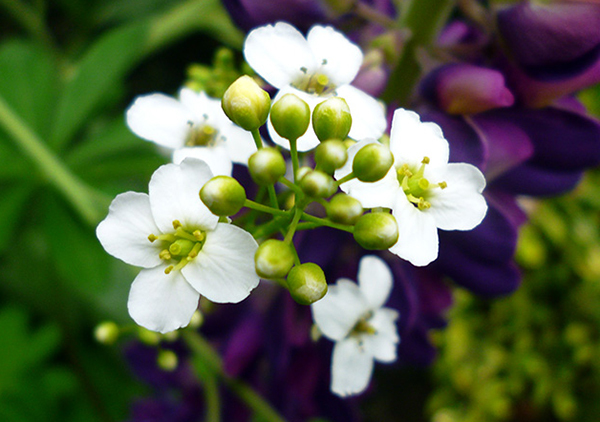 My reading suggests that Crambe cordifolia can be grown from seed, but I've never seen any seedlings underneath my plant. So this year I've taken a few slices off the emerging leaf shoots, and I've popped them into seed raising mix. Let's see if some gentle vegetative propagation works. I'd love to have more plants in sunnier places.